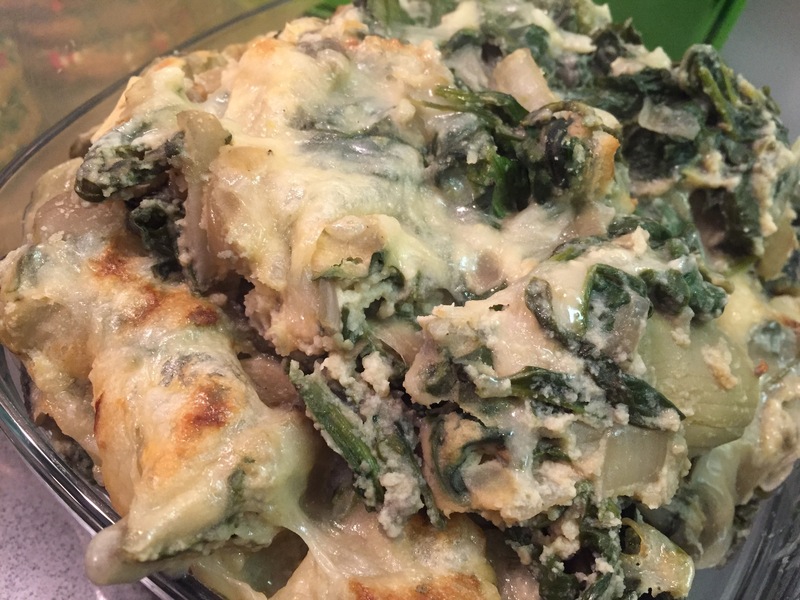 This is one of those sneakily vegan dishes perfect for parties! Sneaky because it doesn’t seem vegan or taste vegan, but it is! 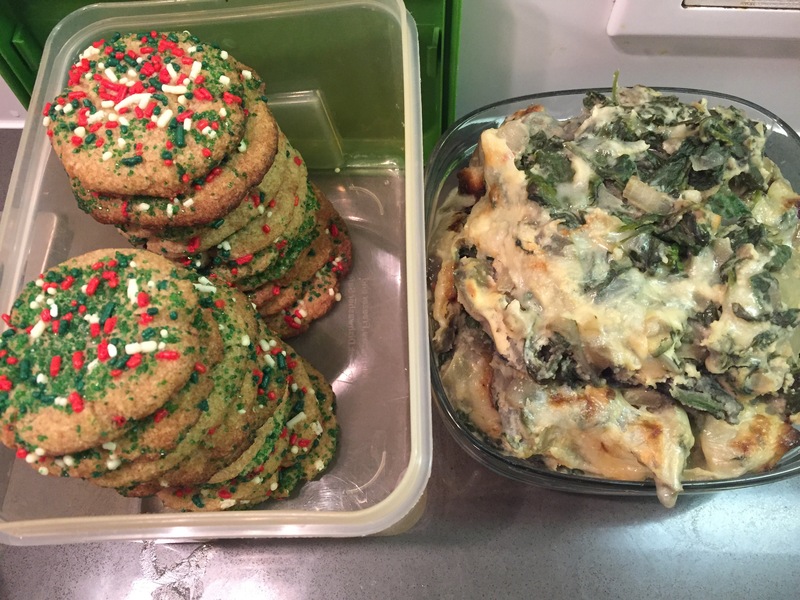 This recipe is festive, rich, and tasty! 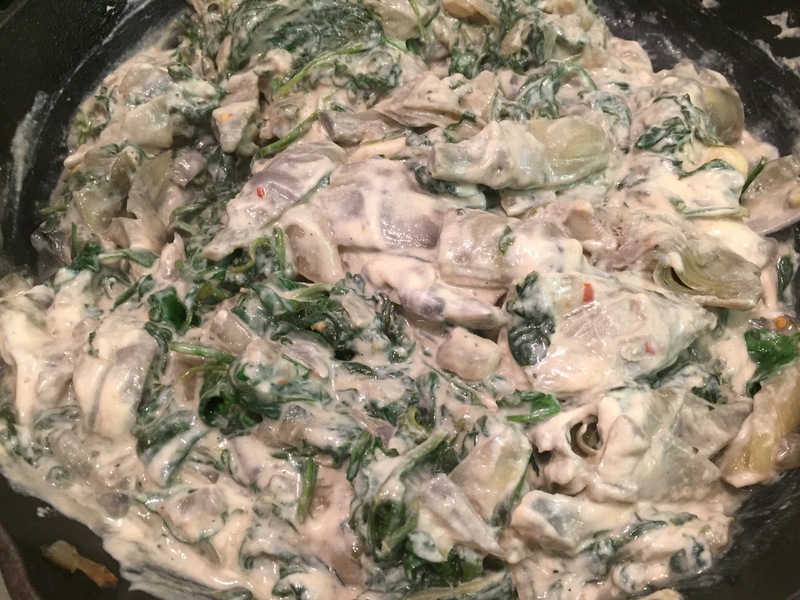 Some years ago I posted a healthy spinach artichoke dip here that used greek yogurt. 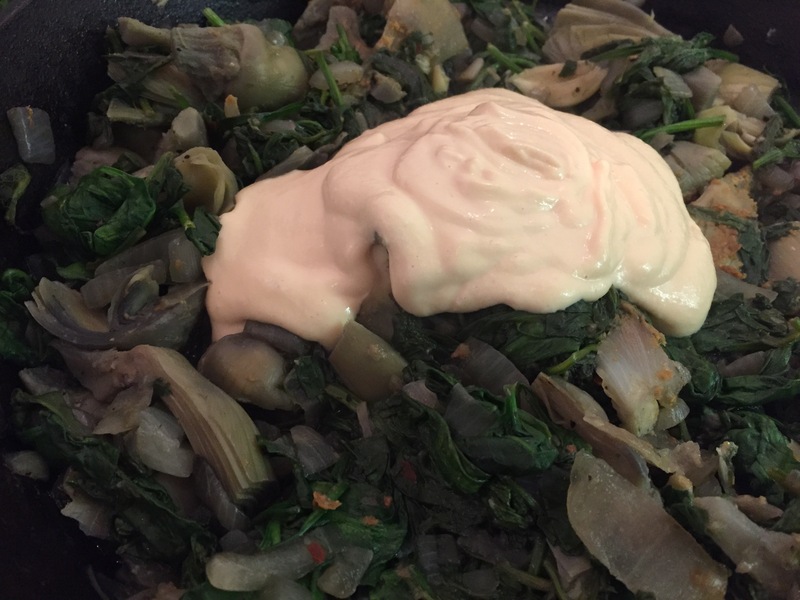 Since I used some soy yogurt in this recipe, this one isn’t a huge change, but better to have a dairy free recipe. 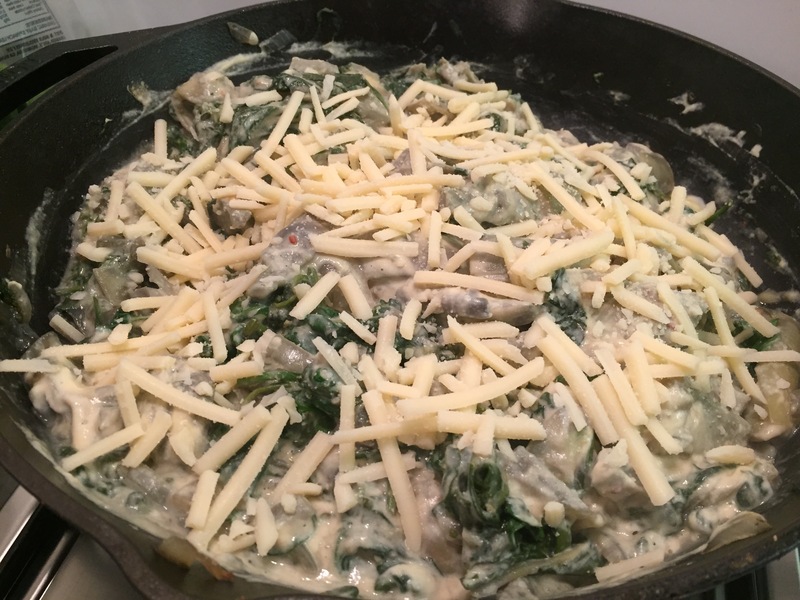 Delicious and nutritious 🙂 I recommend using a cast iron skillet so you can throw it in the oven at the end to broil the cheese. 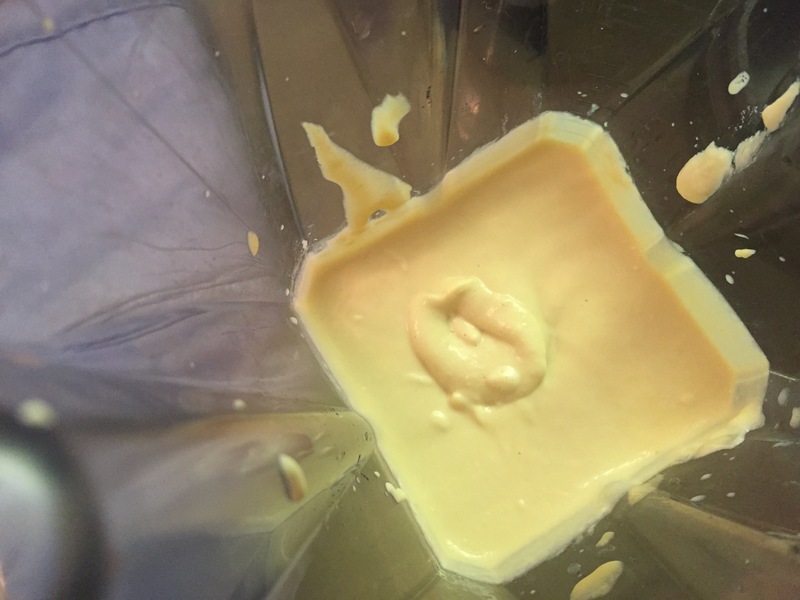 Blend garbanzos, soymilk, tahini, soy yogurt to make cream sauce. 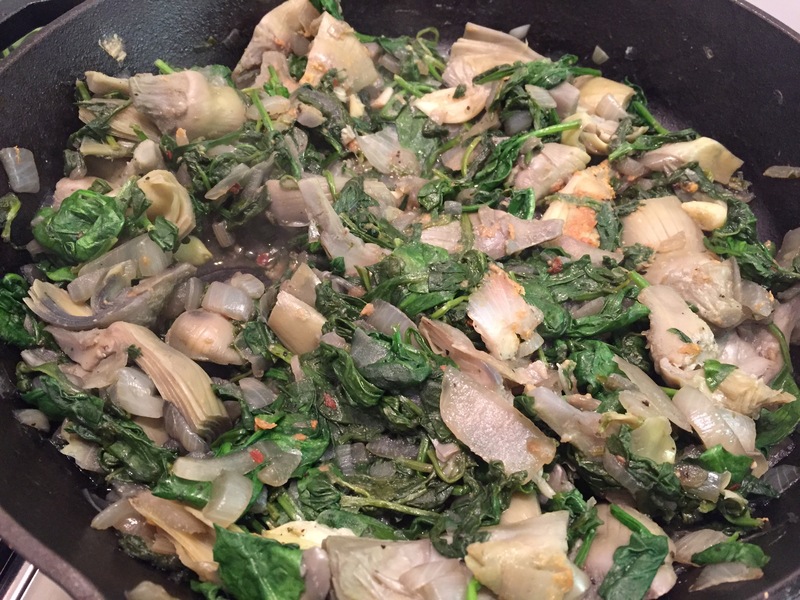 Sauté onion/garlic, adding chopped spinach and frozen artichokes. 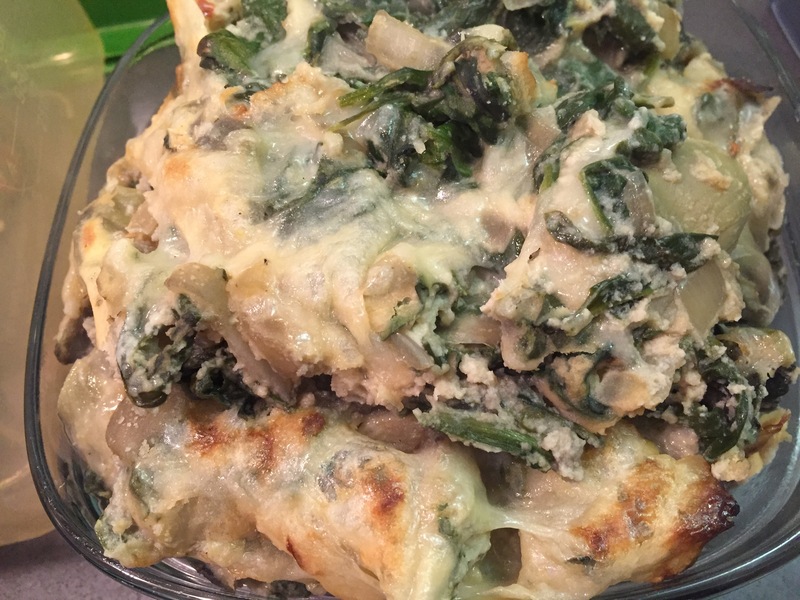 Combine with cream sauce, then throw cheese on top to melt and turn off heat. 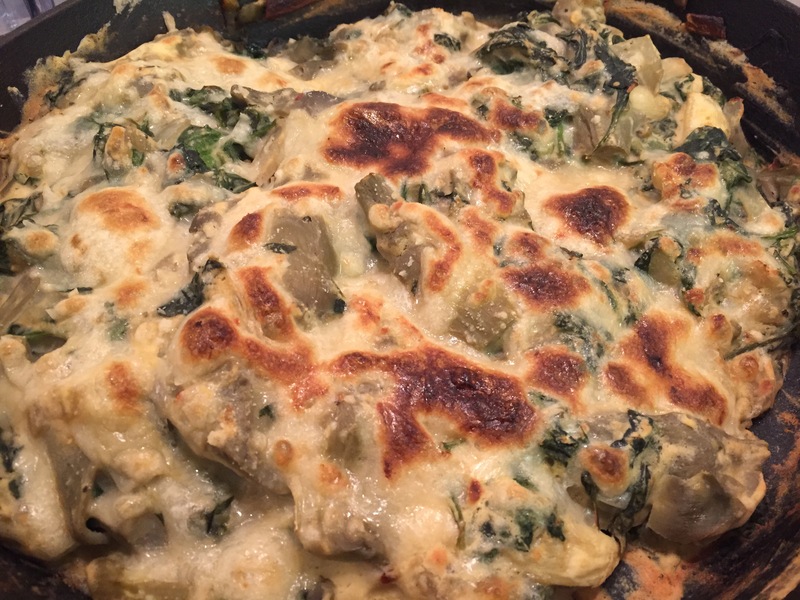 Finally, for he perfect bubbly crust, put cast iron skillet in oven to broil for 5min.